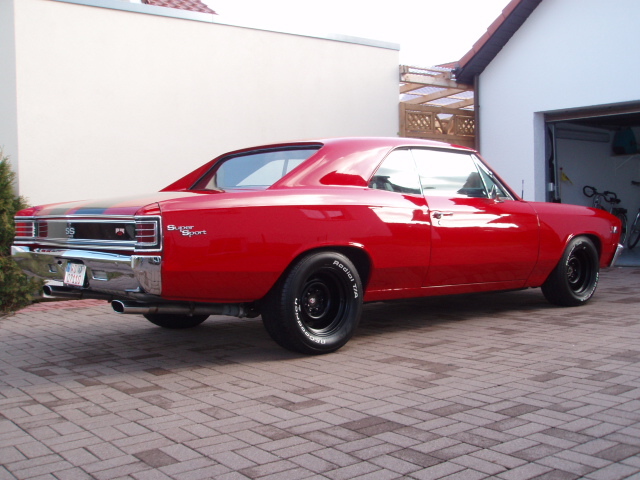 Michael’s 1967 Chevelle – GERMAN’S LOVE CHEVELLE’S! Michael is the proud new owner of this 1967 Chevelle SS396 in Germany. After the car was purchased, Michael took it out for a ride for 350 miles from middle to North Germany. While the Chevelle is already in great condition, Michael wants to remove a lot of the custom parts and bring the car back to an old school level. This is Michael’s 4th American car. He started with 1965 Mustang Fastback, moved on to a 2005 Mustang GT, and ended with a 2007 Dodge Charger Daytona in Sub Lime. Now he is back at the classics!